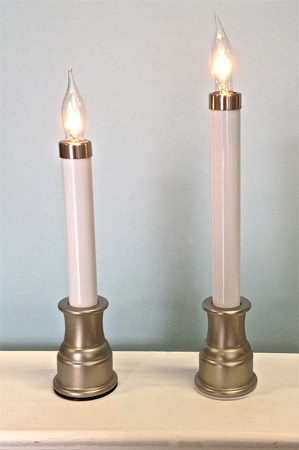 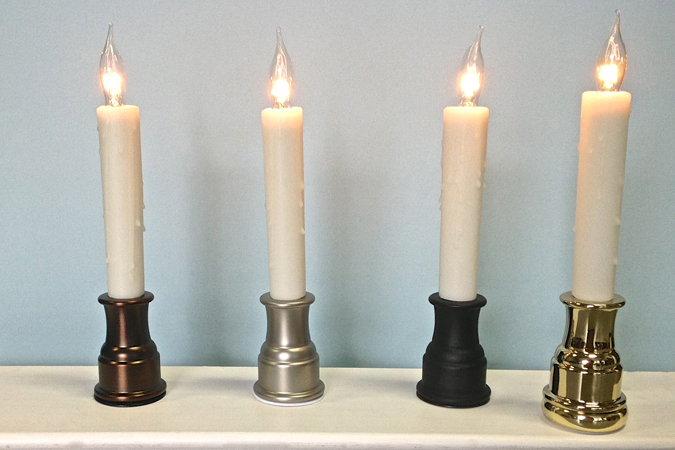 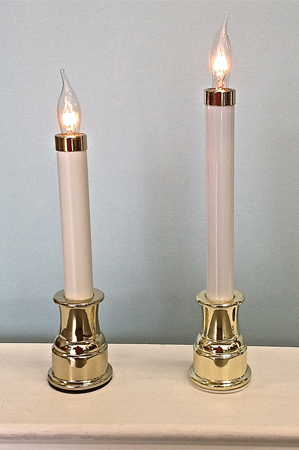 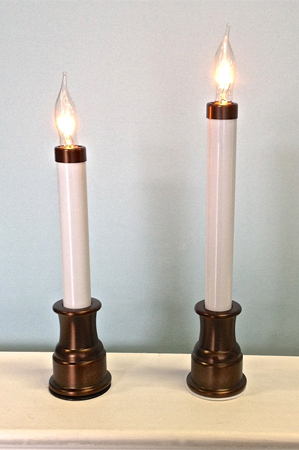 Sillites candles are available in two heights: 7-1/2” or 9” and four finishes: Antique Bronze, Brushed Nickel, Matte Black, and Polished Brass. 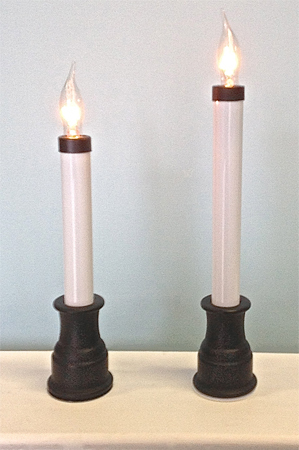 Each candle ships with a 7 watt lamp, matching cap, and a white pvc sleeve. 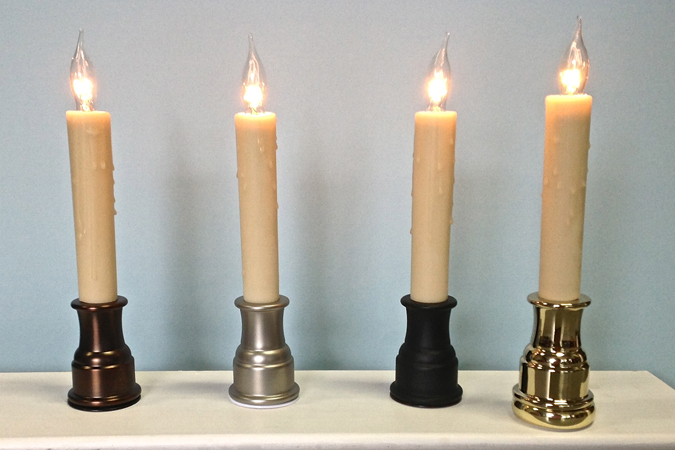 Real beeswax sleeves in either a Golden (GBS7 & GBS9) or Ivory (IBS7 & IBS9) finish can be ordered separately to replace the standard pvc sleeve.